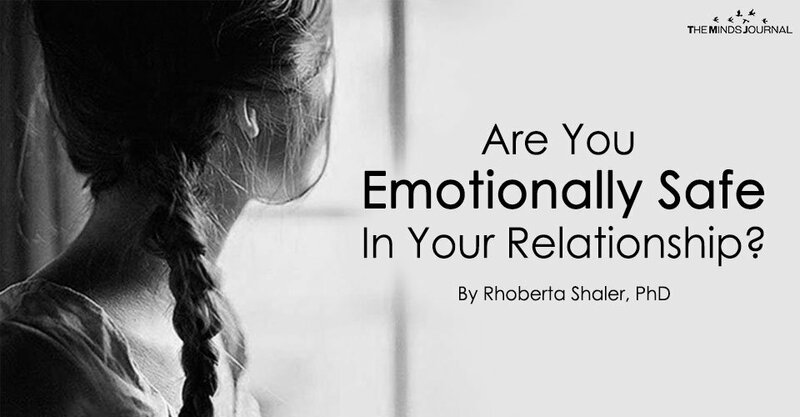 Are You Emotionally Safe In Your Relationship? Did you fall in love with a person who was so amazing that you thought you’d been blessed with a soulmate? Great! Then, did you soon find the relationship deteriorating into something more like being cursed with a cellmate? That happens too often. I wish it didn’t, but it does. You’ve heard that when something seems too good to be true, it probably isn’t. That happens in relationships, too. One big thing is true: you are responsible for keeping yourself safe. Sometimes, you forget this when you are so charmed and enchanted by that seemingly perfect new person in your life. You abandon your concerns—and your judgment—to experience the joys of falling in love, while being swept off your feet. Yes, of course, that happens and things only get better as time goes on. In those relationships, you will be emotionally safe. But, there are far too many that don’t work that way. BUBBLE BURSTER: There are people in the world who simply want to have power over you. All the charm, seduction, and seeming perfection is short-lived. In fact, it usually only lasts long enough to get you to fall for them, move in, marry, or get pregnant. Followed shortly thereafter by them wanting to control you, your life, your family, friends, and finances! And, with that need for control, the charm, seduction and seeming perfection become what it always was: lying, exploitation, and manipulation. You don’t want to believe it. You want to keep the “happily ever after” story. You want to believe the lies. They were magical. You were enchanted. It seemed perfect. When you are in an emotionally unsafe relationship, your partner is counting on you believing it’s your fault things aren’t working. In fact, once you think about it, you’ll realize that, actually, everything is your fault. At least, that’s what your partner tells you. You are not emotionally safe. In fact, you’re likely not safe in any way at all! When you are wearing rose-colored glasses, you will miss all the red flags. When you see poor behavior, things that make you feel uncomfortable, and you rationalize, justify, and make excuses for them, you are now accepting and condoning them. And, you’re the one who is hurting! If you are trusting, loving, honest, and reliable, we expect everyone to be. We see people as we are. And, that’s a wonderful place to start in any relationship. Problem is: we forget to take off the rose-colored glasses. We refuse to see the red flags. We don’t want to believe people use people, and we don’t want to believe we are allowing ourselves to be used, either. You are emotionally unsafe when you cannot both be open, honest, and vulnerable without being fearful of being put down, discounted, or made fun of. When only one person is open, honest, and vulnerable, too often, the other is power-hungry and using you for a doormat. Don’t let anyone wipe their feet on you! To be safe means to be free from harm and hurt. You also want to be free from anticipating being harmed or hurt. When someone wants to have power over you, your freedom is in jeopardy. You begin to anticipate being hurt, again. You are not emotionally safe. And, maybe, not physically safe, either. Then, you’re often not emotionally safe. You’re afraid. You don’t want to be. You want to trust, so you make up excuses for the behavior, but you’re not feeling safe. Can you acknowledge that to yourself? Are you feeling safe in your relationship? Can you trust your partner with your innermost feelings, and not fear being put down? Can you trust your partner to listen to you with interest and compassion? Can you trust your partner to want the best for you, and do what is possible to make it happen? Can you trust your partner to keep your secrets safe, and protect your vulnerabilities? If not, you are not emotionally safe. If any of these things are true, it’s time to rip off the rose-colored glasses, stand up, and take a good look around. What are you making excuses for? What are you continuously rationalizing and justifying that is just plain uncaring, thoughtless, and dismissive? Rhoberta Shaler, PhD. When you're ready to say 'No more!' to toxic relationships, unnecessary drama, and poor examples for your children to follow, work with Dr. Shaler directly now Subscribe to her Tips for Relationships. 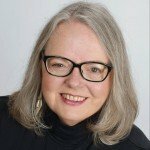 Listen to her podcasts for valuable insights and strategies to reclaim yourself, and create healthy relationships with yourself and others:Emotional Savvy: The Relationship Help Show, and Save Your Sanity: Help for Handling Hijackals. Are you looking for a guarantee and a powerful spell that works without black magic or side infections visit shangosolutiontemple @ yahoo . com he helped me to get my ex back and we are both living together happily, peacefully and wealthy. Priest Okojie might be the answers to your problems.